Choose from a variety of 1, 2, & 3 bedroom apartment homes available for lease. Downtown Milwaukee will become your backyard as you embrace city living at it's finest. 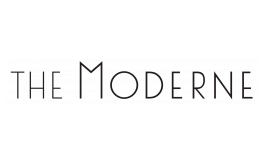 Inquire today to see how affordable luxury living can be in The Moderne. Ask us about one month of free rent for qualified applicants. Inspired by Art Moderne of the 1930's, every detail of our building has been deliberately selected to surround our residents in a lavish setting.